Are Solar Panels Really Green? The standard assumption by most consumers is that solar panels along with wind technology is that they are green and make a positive contribution to the reduction of pollution around the world. But, are solar panels really green? The technology has been around for years. They are also touted as a green technology that will change the way that electricity is generated. Reductions in coal based generated electricity will put many people out of work. Reduction in coal use will also reduce the amount of pollution. This is the argument of most environmentalists. What are the facts and will this trend really help us in the long run? 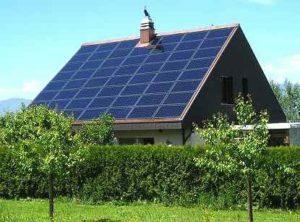 The jury is actually still out on this question, Are Solar Panels Really Green, believe it or not. This is still a relatively new industry. Before we can definitely say that there will be reductions in pollution based on solar panels. Here are a few examples. Coal Fired Electrical Generation Plants – Switching to solar panels will reduce the amount of electricity needed from these plants. Therefore reducing the amount of coal burned is a good thing. The reduction in the amount of local pollution is a good thing from an environmental perspective. Switching to natural gas will also reduce pollution. Solar Panel Farms – They take up a large area. Nothing else can be done with the land they occupy. Much more space is required for solar panels than traditional power plants. And water is becoming a short supply issue for many areas. China predominantly manufactures these products. China has very lax standards in terms of control of toxic chemicals used in the process. It takes a great deal of energy to make a solar panel. Toxic waste is not disposed of properly. China and other countries are having to deal with significant levels of pollution in their countries. Recycling – No business that has yet developed to deal with the toxic chemicals in solar panels. They are ending up in land fill sites. To learn more about various solar related issues, click here. Do you need to apply for permits before you install a solar system at your home. The answer is probably depending on where you live and the kind of solar system you are installing. Many cities and towns require permits prior to any major construction or change in structure to your home. This includes other buildings on your property. They want to make sure that your plans adhere to all of the local bylaws regardless of what they are. Some will deal with safety issues. While others may be more aesthetic in nature. HOA’s in particular may also have a say in terms of what you do on your property. Obtain a permit for roof installations. If you are planning a solar power system that is not attached to the power electrical grid then you may not need to have a permit from the local electrical supply company. You will most likely still need an electrical permit to ensure that the system will be designed properly and installed to meet all existing electrical safety requirements. Preparation of construction permits and electrical system permits is usually mandatory in these situations. There is another reason you will want to have these permits prepared and approved. A solar system installed somewhere on your property including your roof of your home may also impact your insurance requirements. A properly designed, installed and approved solar power generation system will ensure that you insurance is not null and void if you need to make a claim. Always check with your insurance company to find out their requirements and meet them. Get it in writing so that there is no misunderstanding. 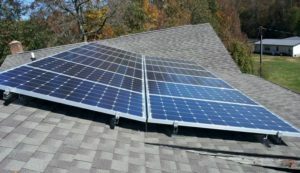 Since most home owners do not have the skills needed to prepare these permits, the company that is trying to sell you a solar system should provide this service as part of the package that they deliver to you. Are You a Good Candidate for Solar Power Generation? As we do research for this blog, we come across interesting tidbits which we think will be useful for us as well as our readers. We are investigating how we can get on the solar or wind power generation wagon and possibly reduce our own carbon footprint. So far I am finding that although it is technically possible, the costs make Solar Power Generation financially not viable. But we have to begin with first steps and we came across these questions which I thought were good questions to address to see if we really qualify as possible solar power users or generators. These are general questions and if you get through these, then talk to an expert. Would you like to reduce or even eliminate your electric bills? Does a good portion of your roof get unshaded sunshine for most of the day throughout the year? Are you interested in making your own electricity, pollution-free, with fuel provided free of charge by Mother Nature? Would you like to lessen our country’s dependence on fossil fuels? Do you want to take advantage of LIPA’s Solar Pioneer cash rebate? Is your roof in decent condition? We will try to answer each of these based on were we live and our situation. They are looking for yes or no answers, however I thought it would be a good idea to put a little bit of explanation with the answers we give and why the questions are important. The pool definitely heats up faster with the solar blanket on than off. All you need to do to test this statement is leave the blanket on during the middle of the day and watch the temperature go up. In fact we turn off the pool pump during the day to conserve electricity and the top foot of water in our pool actually gets hot. What a pleasant experience to get into a pool when the top foot of water is around 100 F and the rest of the pool is around 80 F! It is so great to float in the top foot of water and enjoy hot tub water without actually being in one. If you just float the water does not mix and just stays hot! We will leave the solar blanket on the pool until around 1pm and then remove it to go swimming. Of course if the kids or family want to swim earlier we don’t stop them but if we are not using the pool the solar blanket stays on to gain those extra degrees. If you get a cool day or your evenings are cool, the temperature of the water will drop quickly in your pool. Leave your blanket on the pool to keep the heat from escaping during these cool hours. Monitor the chlorine levels closely to avoid build up of algae and shock the pool every few days. You will also use less chlorine as well. With the solar blanket on the pool the amount of evaporation from the pool is much less. You will find that you will have to add much less water to the pool due to evaporation during dry summer periods and hot sunny days. We once had so much evaporation that I thought there was a leak somewhere. As soon as I placed the solar blanket on the pool, I noticed much less evaporation of the pool water. The same thing applies to depletion of the chlorine in the pool. With the suns rays unable to penetrate the pool water, the chlorine in the water remains to continue to do its job of fighting bacteria in the water. Your pool liner like all vinyls is subject to deterioration over time due to UV rays from the sun. With the solar blanket on, there are less rays hitting your liner which will allow it to last much longer. Of course you will have to replace your solar blanket every 3 to 5 years since it will deteriorate due to the chemicals and the suns rays. But this is a much lower cost than replacing the liner of a pool. Our liner is around 20 years old now and I maintain that it is solely due to the solar blanket. I have heard lots of people replacing the blanket after 10 years because the vinyl becomes brittle and cracks from the constant sun. A new liner can cost five to ten thousand dollars depending on the size of the pool. A solar blanket will cost around $300, a big difference. Solar blankets have a lot of advantages in addition to conserving electricity which is what this web site is all about. Your comments are welcome. for more solar related posts, click here. We had a question about whether you should leave a solar blanket on a pool all of the time or take it off every day, whether we are using the pool or not. The short answer is, leave solar blanket on as much as you can but you also should let your pool breathe a bit every day. Remove the solar blanket for an hour once a day. We have had a pool for the past 23 years and have used a solar blanket for every one of those years to keep our pool nice and warm for swimming. It has worked out great for us and it is well worth the cost of a solar blanket compared to heating with a gas heater. But back to our question of whether you should leave a solar blanket on the pool or not all day long. Based on our experience the answer is yes, however there are some issues you need to be aware of if you are going to do this. The practical side of leaving your solar blanket on the pool is whether you take the time to monitor the temperature and also the level of chlorine in your pool. If you let the water get too warm and the chlorine level too low, you risk the growth of green algae in your pool. In fact our pool turned totally green one year because I forgot to check the chlorine level. It took us 2 weeks to get the pool clear again. Chlorine shock treatment is completed once every 3 to 5 days depending on the temperature of the water. The message here is daily monitoring of the chlorine level in the water or at least every 2nd day. It is very important to not let the water get cloudy ever. Once it does it is only a matter of hours before it goes green on you. Check the sides of the pool daily and if you begin to see green algae forming on the sides of the pool or the water begins to look a little bit cloudy , it is time to take action. With the solar blanket on the pool so much, the water temperature rises quickly so daily monitoring is required. Once the blanket is removed and people are swimming, the water is being circulated more and mixed as well so there is no need to have the poop pump on all day long for private pools. However if you are the type to forget about some of these steps then it is best to use an automatic chlorinater and leave the pool pump on all of the time. An added benefit of leaving the solar blanket on with the pool pump off is that the top foot of water gets incredibly warm. this makes it very nice to enter the pool and swim in the top foot of water. This warm temperature is really great when the air temperature begins to cool as you get closer to the fall and day time temperatures are lower. Of course after a few minutes the water mixes and the overall pool assumes the average temperature of the water. This has been our experience of leaving the solar blanket on the pool for long periods of time. With Solar Blankets you can save energy and also enjoy a warm pool too. It really does depend on the sun and if you only have cloudy rainy days there is not much to be gained by a solar blanket or even heating the pool with a heater. Comments are welcome. For more articles on solar pool heating, click here. Our last post was about solar blankets as a means of keeping your pool warm during the summer months. So we thought we would follow it up with a post about solar panel pool heaters for pools. They also will heat your pool, however they work very differently and cost a bit more. Again you are minimizing the impact on energy use and therefore reducing your cost as well as impact on the environment. Solar Panel Pool Heaters involve pumping water from the pool to the solar collectors where the water is heated by the sun. The warm water is then pumped back into the swimming pool allowing you to enjoy your pool for many months, and in some areas all year long depending on your location. Flow control valve — automatic or manual device that diverts pool water through the solar collector. Solar panel pool heaters system can be as complex or as simple as you want them, all it costs is money. Manual systems are the least expensive and require the operator to manually turn a valve to cause water to be circulated through the solar collectors. Automated electronic systems will monitor the temperature of the water coming from the solar collectors and when it is warmer than the pool water, will open the valve automatically. It will also shut the valve to stop water from going through the collectors if the water from the collectors is colder than the pool. Solar panel pool heaters collectors are made out of different materials. The type you’ll need depends on your climate and how you intend to use the collector. If you’ll only be using your pool when temperatures are above freezing, then you’ll probably only need an unglazed collector system. Unglazed collectors are far less expensive than glazed collectors. Unglazed collectors are generally made of heavy-duty rubber or plastic treated with an ultraviolet (UV) light inhibitor to extend the life of the panels. These unglazed systems can even work for indoor pools in cold climates if the system is designed to drain back to the pool when not in use. Glazed collector systems are generally made of copper tubing on an aluminum plate with an iron-tempered glass covering, which increases their cost. In colder weather, glazed collector systems—with heat exchangers and transfer fluids—capture solar heat more efficiently than unglazed systems. Therefore, they can be used year-round in many climates. Either system should be protected from freezing if they’ll be used in colder conditions. An unglazed solar pool heating system usually costs between $3,000 and $4,000 to buy and install. This provides a payback of between 1.5 and 7 years, depending on length of time you use the pool each year and your local fuel heating costs. Compared to a solar blanket, solar collectors are much more expensive. They also typically last longer than gas and heat pump pool heaters. Your actual cost and payback depend on many factors. Your solar collector should not require a lot of maintenance, other than cleaning once in a while and draining in cold winter months. How does the weather affect the performance of the Panels? Cloudy days and rain will typically reduce the heating efficiency of the panels. For more articles on solar heating, click here. Our first post that talks about renewable energy is related to your swimming pool. It is about how you can avoid using non renewable energy and use solar blankets for your pool instead. 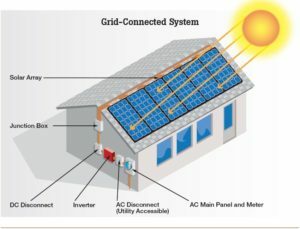 You will also save money as well in this particular solar energy solution! A solar blanket insulates the pool, keeps the heat in and converts sunlight into heat as well. Most come with rollers that make it easy to remove from the pool when it is time to use your pool. When it is time to place the solar blanket back on the pool, just drag it out over the pool as this lady is doing. Easily done and probably the most cost effective solution. Never leave the solar blanket on your lawn. Your grass will burn in no time. Many people will employ gas fired or electric powered heaters to heat their pools to the desired temperature. While this is fast and you just need to dial the temperature that you want, it is using either natural gas, electricity or perhaps oil to heat your pool. It is also convenient and can be turned on for the weekend or whenever you want to have warm water to swim in. They are expensive to install as well as to operate. Installation costs can be as much as $2000 and operating costs each season can vary a great deal based on use, but $500 a season is not uncommon. You are also using non renewable energy to heat your pool and contributing to green house gases as well as pollution in general. Using a solar blanket can achieve the same result, while saving energy and taking advantage of the sun’s heating rays to keep your pool warm. Many people do not like the extra work involved and the time it takes to remove and install the solar blanket each day, however it is an inexpensive way to heat your pool. The work involved is not a lot. Basically you have to roll up the solar blanket when you want to use the pool using a roller or wrap it with straps. When you are ready to place the blanket back on the pool, it is a quick 2 or 3 minute job to pull the blanket back over the pool. There is no cost other than the two to three hundred dollar cost of the blanket depending on the size of the pool, when you purchase it and install it. In ground pools have a neat device that you can purchase to use to remove your solar blanket from the pool. Basically it is a long tube that spans across the pool with a crank at one end that you use to roll up the solar blanket that is installed on your in ground pool. These same rollers can be installed on above ground pools, however it is a little more difficult since you need to install something to attach the roller too that sits on top of your above ground pool and off to one side. You will need to cover your solar blanket when it is rolled up with a white plastic sheet to protect it from the sun and avoid over heating. They come with the solar blanket and can also be purchased from your pool store. Above ground pools do not seem to cool down as fast as in ground pools and they tend to heat up more quickly as well. This is primarily due to the cooling effect of the ground around the in ground pool keeping the water at a constant temperature. Never the less if you want to heat your pool you can with a solar blanket, They are quite effective and will keep your above ground pool warmer than many in ground pools. In this case the blanket is just manually rolled up and left hanging at the side of the pool which is fine and you do not have to be concerned about purchasing a roller and mounting it at one side of the pool. It is a little bit more laborious to rolling up the blanket. Solar blankets should always be covered when they are rolled up. If they are left in the sun and not covered by a thin white plastic sheet, the blanket will heat up and in fact get so hot it will melt the plastic. At the very least it will begin to cause the plastic and bubbles to deteriorate more quickly. Always cover them when they are not on the pool and left in the sun. A properly maintained solar blanket should last at least 3 to 4 years. Installation is pretty simple. Purchase a blanket that is either the size of your pool or slightly larger if your pool is not a rectangle such as a kidney shaped pool. Next lay out the blanket on your pool and allow it to stretch. The heat from the sun will soften it a bit and stretch the blanket somewhat as it heats up. Next using a pair of scissors, cut the blanket while it is on your pool to the edges of your pool following the shape of your pool. Installation and cutting will take a maximum of no more than 30 minutes. Attach the blanket to your roller if you have one and you are done. Comments are welcome regarding solar blankets for pools and any other methods of heating your pool for swimming. For more related articles about solar heating, click here.